2015 has been such a stereotypically Marlins season that I could have pulled up posts from 2012 and 2013, switched out a few names and republished them, and you wouldn’t have noticed the difference. So instead of talking about a fired manager or ripping ownership for again making the wrong offseason moves and unloading their haul before the trade deadline, I’m bringing you the bright spots in baseball. Here’s what I will be looking forward to in the coming weeks and months. Good baseball players have a tendency to perform well in their post-Marlin days, and I hope for Steve Cishek’s sake that the trend will continue. The fan-favorite sidewinder was traded last week to the St. Louis Cardinals–MLB’s best team. St. Louis has had postseason success over the past decade paralleled only by the San Francisco Giants. Cishek struggled earlier this season for Miami as the closer. He’s a great guy and an exciting player, who I will be rooting for in the postseason. Although I root for underdogs–and St. Louis is hardly that in October–I have too much respect for the Cardinals and their fan base to hold their success against them. Michael Morse and Mat Latos are headed to the Los Angeles Dodgers, and will contend for an NL West title against the defending World Series Champions San Francisco Giants. Morse and Latos were two of the four big names Miami signed in the offseason and both were less than stellar over their half season with the Fish. Morse was with the Giants last season for their championship run, and is lucky to be on yet another postseason-contending team. Where do I start with these guys? Not a year ago they were still the joke of baseball, but have quickly turned the AL West on its head, storming to a division lead in the first half of the season. Veterans Evan Gattis and Jose Altuve lead the young squad that has seen monstrous production from the likes of shortstop Carlos Correa and outfielder George Springer, who seemingly turned from prospects to stars overnight. 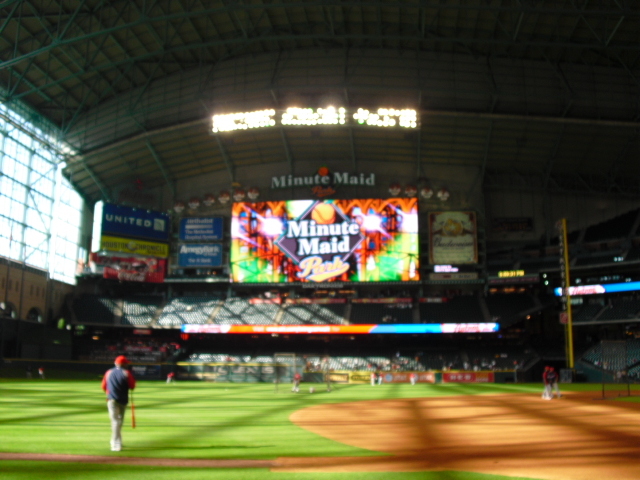 Kick Taylor Swift out of Minute Maid Park. Taylor Swift’s 1989 World Tour is scheduled to infest ballparks all across the country, but it will not come to Houston during the playoffs. Originally scheduled for mid-October, the Astros pushed up the concert date to a September road trip as to ensure she didn’t interfere with any Astros playoff game. When the concert was originally announced last year, Houston publicized the date was subject to change due to potential Astros playoff games. The jokes rained on Twitter and then…the Astros jolted to first place. Who’s laughing now? The third installment of the somewhat-annual Beanstalks Baseball! PETCO Park has been my favorite baseball venue since I visited in 2012, and I’m eagerly awaiting the 2016 game in San Diego. I have no clue if I’ll be able to attend, but you better believe I’ll try my best. 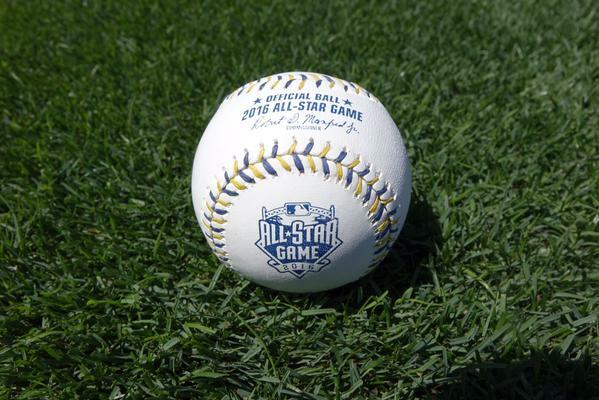 The Padres recently unveiled the logo for the game, and even tweeted out a picture of the ball that will be used. And boy, is that ball nice-looking! Pleasing aesthetics dramatically improve the baseball viewing experience, and I look forward to watching Giancarlo Stanton smack baseballs all over PETCO during the Home Run Derby. Hear that, Big G? Stanton missed the All Star festivities in 2015 due to his hand injury. Pittsburgh’s jewel is the stadium I’d most like to visit next. I was originally planning a trip up there this year, but things didn’t quite pan out. It’s certainly on my list for 2016. 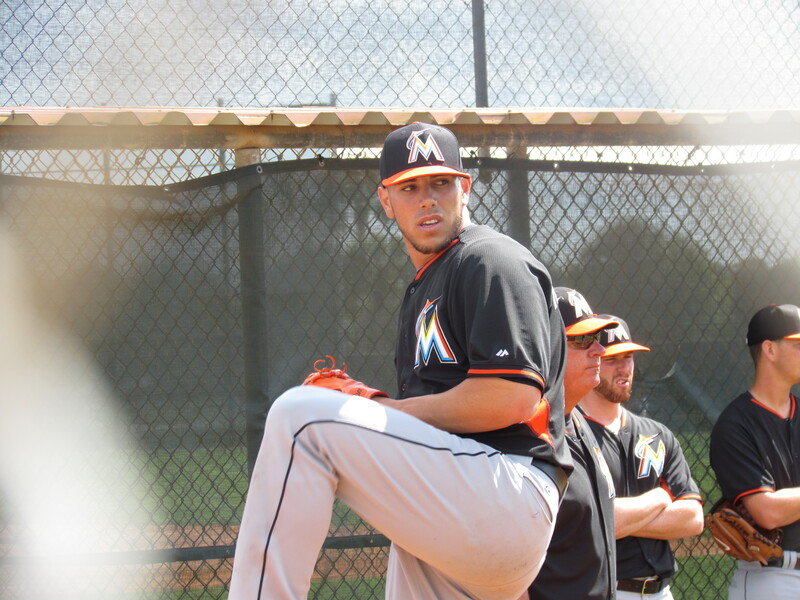 Miami’s ace is officially back from his Tommy John recovery and he has hit the ground running. 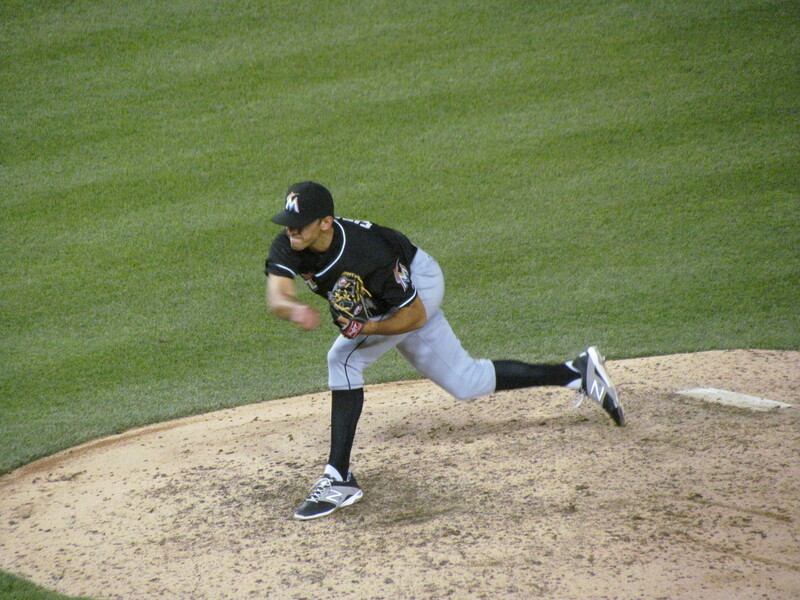 Fernandez is 15-0 in his career at Marlins Park, and is 4-0 in his four starts this season. Along with Stanton, Fernandez is a cornerstone of this team, and will hopefully head a budding rotation for seasons to come. Henderson Alvarez, although sidelined for 2015, will look to rebound next year as the number two starter. I promise, the young talent in this organization is impressive, similar to the 2006 Marlins that nearly returned the team to the playoffs over their 4-5 seasons in Miami. Instead, that talent was slowly and painfully dissolved, and October continues to elude the Fish. There’s honestly nothing else that really needs to be said as long as you know who Jayson Werth is and what a Chia Pet is. August 5th, the same day as last year’s gnome-ageddon, will be Chia Pet day. 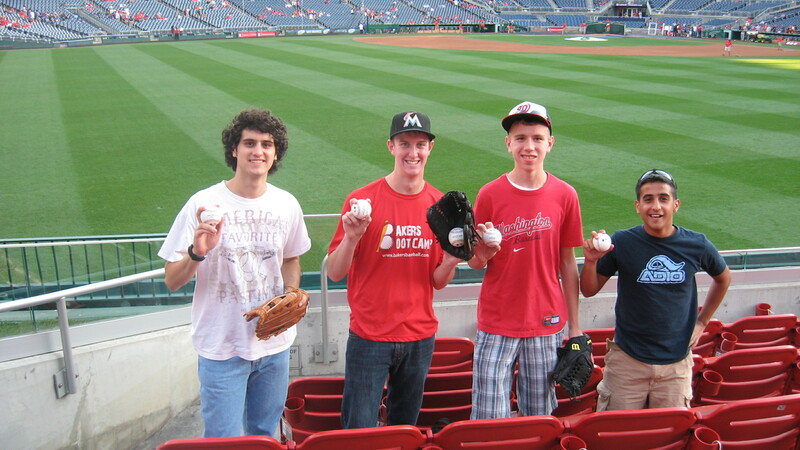 I’m wondering if August 5th will become the annual weird promotion day at Nats Park. There you have it. Those are the upcoming baseball highlights in my life. Let me know in the comments if you have anything to add. In the National League, the Dodgers will heat up down the stretch and take the division from the Giants, who will not make the playoffs because it’s an odd-numbered year. The Cardinals and Nationals, of course, take their divisions. And the New York Mets, after fumbling at the trade deadline, fail to make the playoffs. The Cubs and Pirates get the two Wild Card spots, and Jon Lester will defeat Pittsburgh to both continue the Pirates’ October woes and get every Chicago baseball fan on his or her feet, skyrocketing hopes that will soon be demolished when St. Louis pummels Chicago in the NLDS. The Nationals will finally make it out of the Division Series by defeating the Dodgers, but will then be handled by St. Louis in the NLCS. On the American League side, Kansas City will walk away with the AL Central, and Los Angeles will barely edge Houston for the West. As much as I’d like to see Toronto win the East, the Yankees will unfortunately take the crown. Houston and Toronto will be the two Wild Cards, and the Astros will defeat the Blue Jays to storm into the Division Series. Kansas City will edge Houston in the ALDS (although with the Astros’ momentum I wouldn’t be shocked if Houston wins). And the Yankees will be swept by the Angels in the other DS. Kansas City will, for the second consecutive season, defeat Los Angeles and advance to the the World Series, which will be held entirely in the state of Missouri. St. Louis will edge Kansas City in seven because they have Cardinal magic, and will continue winning the National League in odd-numbered years (2011, 2013, 2015) as the Giants do in the evens (2010, 2012, 2104).